Hope everyone is a1) staying warm and b2) just about done with their Christmas shopping. Just in case, I wanted to do one last gift guide. 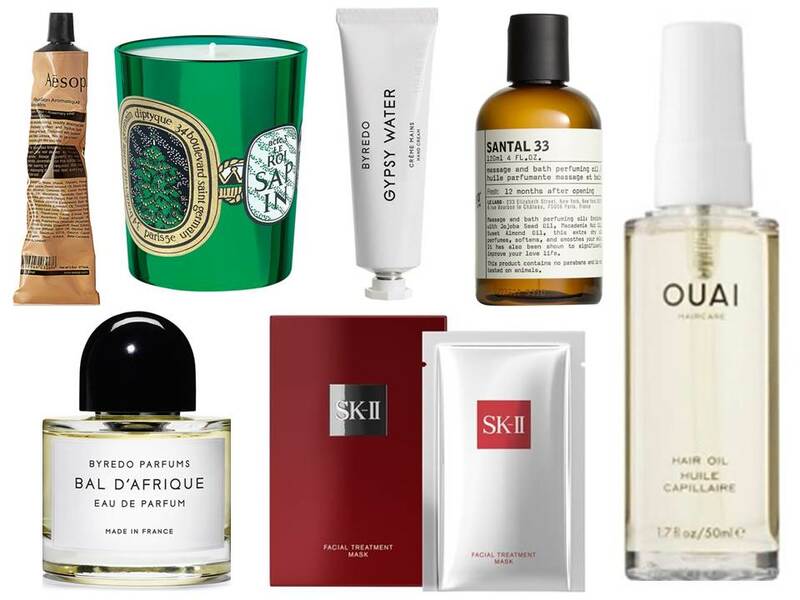 Let's just call this one, the "Luxe Gift Guide"..I mean all of these products are amazing, but they are also pretty harmful to the budget. I will say, the Diptyque candle smells so incredibly Christmasy. It's a great holiday hostess gift to give as the small size is $35. Another great gift to yourself is a luxe hand cream..like this one from Byredo. My personal favorite is this one, but they'll both do the trick of treating yourself. The SK-II eye masks are also really great gifts to yourself..who doesn't want the gift of looking younger for under $20? Bal D'Afrique is one of the coolest scents I've found this year. It's like this vibrant, clean smell..don't really know how to explain it, but just trust me. Happy shopping!